When your ancestors were common people from a small, rural area, you learn to set modest record expectations. I have few wills, few church records, few family bibles, and few family graveyards to walk through. Record scarcity can be discouraging but it is a normal part of genealogy and it encourages creativity and relationship building with other researchers. Your chances of finding obscure records are much better as part of an active research community than as an individual. For this reason, joining the Family Research Society of Northeastern North Carolina (FRSNNC) has been one of the smartest decisions I ever made as a researcher. The FRSNNC contains a vast collection of resources including many publications I never would have thought to search on my own. 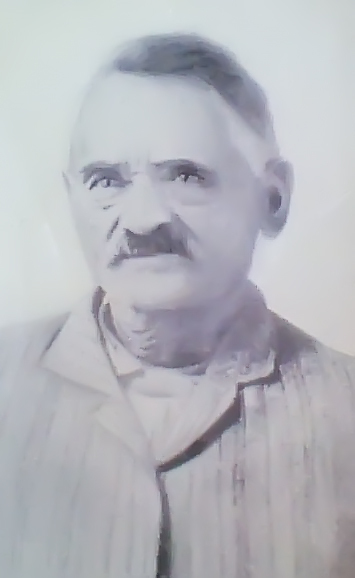 Recently a member of the FRSNNC found an interview of one of my ancestors who lived to be 105 years old. The article is likely the closest I will ever come to being able to talk to her and it provides invaluable insight about her life. Blanche “Blannie” Price, born June 3, 1906, was the daughter of James E. Price and Emma L. Garrett who married in South Mills on December 22, 1892. James was the son of Samuel and Delsey Price and Emma was the daughter of Lycurgus and Mary Garrett. Blannie was raised near North Carolina Highway 343 and Lake Road and, like many others of her day, was contributing to her family’s livelihood at an early age. According to the article, Blannie’s parents separated when she was eight or nine years old and she (along with her mother and three siblings) went to live with her mother’s parents. Blannie noted that her grandfather—Lycurgus—had a small store (frequented by both whites and blacks) where he sold general goods on the first floor and built caskets on the second floor. The family also farmed and grew a variety of crops. Blannie describes the formation of Antioch Baptist Church and the importance of church in her life. Outside of doing what she could to support her family, Blannie’s life revolved around church and it was both the social and spiritual center for many members of the community. In the late 1850s and early 1860s, many families in the area were members of McBride United Methodist Church (established in 1792). An 1858-1860 McBride Church Roll contains the names of numerous “Whites” and “Blacks” who attended together; however, at some point a number of “Blacks” in the area began to hold prayer meetings in their homes. These meetings started at Sammy Price’s house on Lake Road (Blannie’s paternal grandfather) and moved around to a few other homes. There are no records to document what happened around this time but one can speculate that Reconstruction Era social changes may have led people of color to want their own place of worship. These in-home gatherings went on to become the foundation of the present Antioch Missionary Baptist Church. On Groundhog’s Day in 1927, Blannie married Herman Hunt, a neighbor and fellow farmer on Lake Road. Herman bought the Hinton farm (also on Lake Road) and the couple went on to have two sons—Leroy and Bernard Hunt. They raised a number of crops and livestock and filled their days with long labor. Blannie attributed her longevity to her love of vegetables and active lifestyle. Due to her long life and community relationships, Blannie was well recognized in South Mills. Her story is representative of many other farmers of her generation. She was raised riding in a horse and buggy and lived through the transition to automobiles. Despite the freedom that came with newer transportation, Blannie remained on Lake Road for most of her life, married a man who was born and raised on Lake road, and also raised her own children on Lake Road. Anna Hunt Dilcey Lindsay may have died before 1885. Anna Hunt was the daughter of Henry Newsom and Eliza Trafton. Dilcey Lindsay Camden, NC (?) 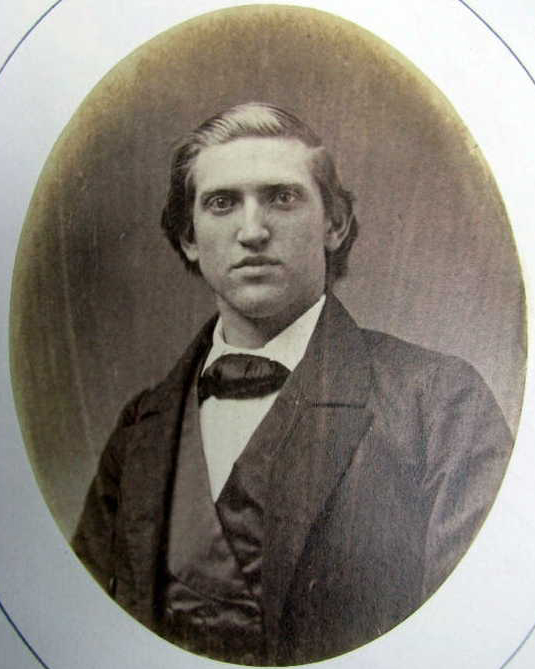 1836-1840 Unknown Samuel Price Andrew Newsom, brother of Henry Newsom, married an Eliza Lindsay. Lycurgus Garrett Currituck, NC 1841 William Ferebee & Clarky Garrett Mary Cartwright Mary Cartwright was the daughter of Theophilus Cartwright, who was the son-in-law of Henry Newsom and Eliza Trafton. Within this table one can see a number of relationships between a small cluster of families—the Hunts, Lindsays, Newsoms, and Prices were closely connected through land, lifestyle, church affiliation, and intermarriage. Although these families of color were free long before emancipation, they emerged later than the earliest South Mills families of color (e.g. the Basses and Halls) who were established in the area by the 1700s. This post is a brief introduction to the Lake Road legacy and I look forward to sharing many more stories about these families. Justin, thank you for sharing this! I love your blog and this is just the most recent of many articles which have been helpful. So many of the families with indigenous ancestry seemed to gravitate to each other. Your note is a good reminder for me to follow those born in Camden across other county lines (not just the established Norfolk County, VA Camden County, NC migratory pattern). The secret is to look at other Native settlements, particularly Algonquian settlements. You will find many of the same families in and around Bennetts Creek (Gates County) where there was Chowan Indian Town, and you will find them at Powells Point in Currituck (where there was Poteskeet Indian Town). It is *amazing* to see that these same families clustered in these places deep into the 19th century (and still today). What we need to find is evidence of the old settlement in that Camden-Norfolk border area. It seems like there would have been a town there. You have really got me going now! After reading your comment I started researching the idea and the most compelling lead I can find is John Lawson’s reference to “Paspatank Indians” living along the “Paspatank River.” I am very curious to see if I can find any additional information about the settlement location because it seems probable it could have been right around Joys Creek (the precise location where so many others settled). I was already drafting an article on Lebanon (the name of the area prior to South Mills) and this will be a perfect addition to the story. Thanks so much! Nikki, you did a great Job, Mr. Jim Price and his wife Emma worked for my great grandparents Mr. Lemuel Morgan Sawyer and his wife Missouri Nash Sawyer (Mrs Dude). L.M. Sawyer , had a store, Post Office, saw mill ,cotton mill at Burnt Mills , on 343. Ms Dude was the farmer. 1890’s through 1930’s. My mother. Mildred Mansfield Grimes, spent a lot of time with her grandparents. She told me Emma Price helped raise her. She remembered Blannie and her brother Romelus. Romelus joined the Army and fought in WW1. Other oral history on the Bass Family on Bass’es Lane was while logging back in the “Fountain Track” a young black man was criticaly injured when a sawed tree snapped back and hit him in the head. He was carried out of the woods on a lane that used to run beside Gevena Baptist Church across 343 to a blacksmith shop on the Smithson property. Someone sent a horse and buggy to go get his mother , who lived on Basses Lane , so that she could see him before he died.